The construction of a new sand arena and cattle yards at the Showground is almost complete. Stage one of the facility upgrade was made possible by a grant from the Bendigo Bank Bungendore Community Bank Branch, donation of the arena sand by Holcim Australia (Cooma Road) and fundraising from the Bungendore Bachelor and Spinsters Balls (2012-2017). Stage two of the development – to erect a purpose designed pavilion roof over the arena – will commence in April 2019. The addition of an all weather roof will create a truly multi-purpose facility for the use of pony clubs, adult riders, team penning clubs, team sporting events, dressage events, show jumping clinics and training, livestock auctions and sales and much more. Stage two has been made possible by the recently announced NSW Government funding of $200,000 toward the construction of the roof over the new arena facility. Member for Monaro, Mr Barilaro announced the funding this week and said that showgrounds are a vital asset, greatly valued by the local community. Bungendore Showground Trust Chairman, Paul Darmody, thanked the NSW Government and Mr Barilaro for the support of the Showground Trust’s vision for the showground. Mr Darmody said that creating an all-purpose, all-weather arena will significantly increase the opportunities for many more events to be held using the new facility, which will also include lighting and spectator seating. 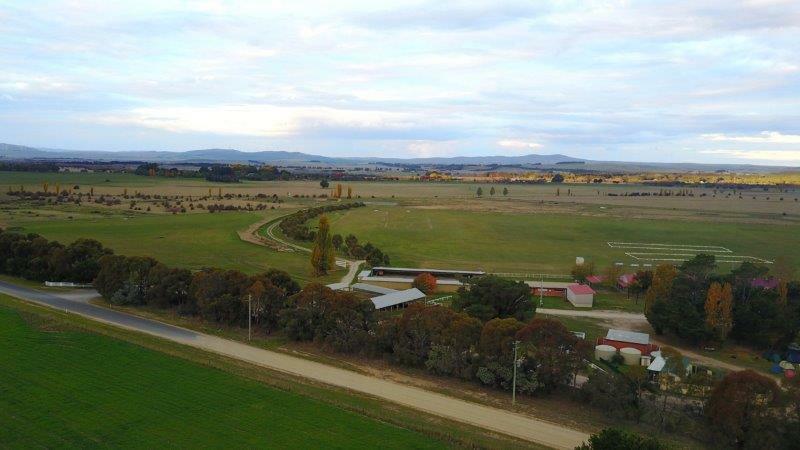 The Bungendore Showground Trust is comprised of a group of volunteers who look after the showgrounds (67 acres in total) on behalf of the NSW Crown Lands Department. The Trust work hard to maintain and facilitate improvements to the grounds.